Seeds of Learning is a nonprofit organization dedicated to improving educational opportunities in rural Latin America. We work with North Americans and Central Americans to build and equip schools in Nicaragua and El Salvador, educate children and adults, and promote cross cultural understanding. We have a US office in Sonoma, California and field offices in Ciudad Dari­o, Matagalpa, and Managua, Nicaragua. Each year, Seeds of Learning sends about 20 work groups of volunteers to Central America. These volunteers spend between 10 days working alongside communities in Nicaragua. While there, volunteers partner with communities, form relationships, build bridges and explore each others cultures while building or improving a school building or learning resource center. 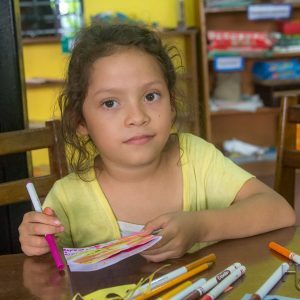 Seeds of Learning is dedicated to promoting conditions for quality learning in developing communities of the Americas while educating its North American constituents about the rich cultural diversity and the educational and social needs of poorly resourced communities in Central America. Seeds of Learning envisions a world in which all persons have access to quality education, where cross-cultural experiences promote understanding, and where people are empowered to effect positive change. We believe that education is a universal human right. Each person is entitled to an education that will allow him or her to reach their greatest potential. SOL believes that education is the best way to achieve social and economic justice and alleviate poverty. SOL believes in participatory community learning. 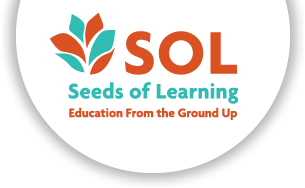 SOL works in partnership with a community to create conditions for quality education. SOL believes that when people from different countries work together, they gain a respect for their global neighbors, a better understanding of poverty and inequality, and are inspired to work towards social justice.